Can you Survive the Undead Nightmare? Even in the Western times the Undead have become a threat. But don't worry as Gunslingin' expert John Marston is ready to take them on. Check out the Undead Nightmare Pack! 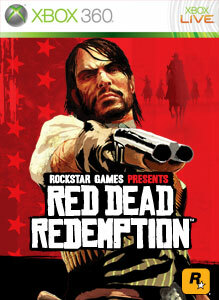 "Unleashed upon the world of Red Dead Redemption. The Undead Nightmare Pack features an entirely new single-player campaign that follows John Marston as he tries to find a cure for the highly-infectious undead plague spreading across the frontier. In addition to this epic single-player adventure, the Undead Nightmare Pack also features a brand new multiplayer mode in addition to new gameplay mechanics, weapons, undead animals and mythical creatures."